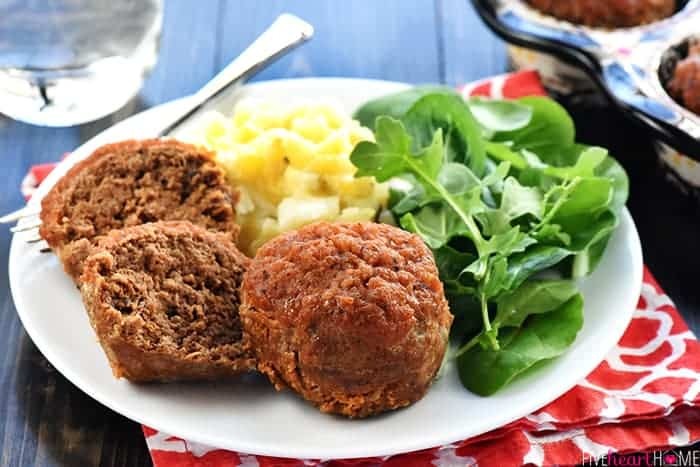 Mexican Meatloaf Muffins are simple to make, quick to cook, and full of zesty flavor from homemade taco seasoning and salsa! Meatloaf and beef tacos are two dinners that every member of my family will eat, with nary a complaint, every single time. 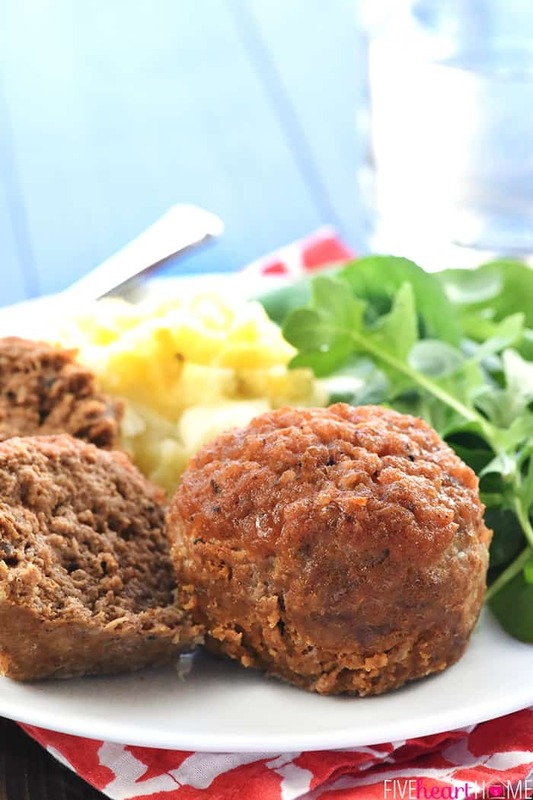 So why did it take me so long to combine those two recipes into these simple-yet-brilliant (if I do say so myself) Mexican Meatloaf Muffins? But of course they would! Because this recipe is basically a variation of the BBQ Sauce-Glazed Meatloaf Muffins that they already know and love. Except that instead of regular seasoning, this meatloaf mix is flavored with taco seasoning. And instead of barbecue sauce, it’s glazed with zippy salsa. 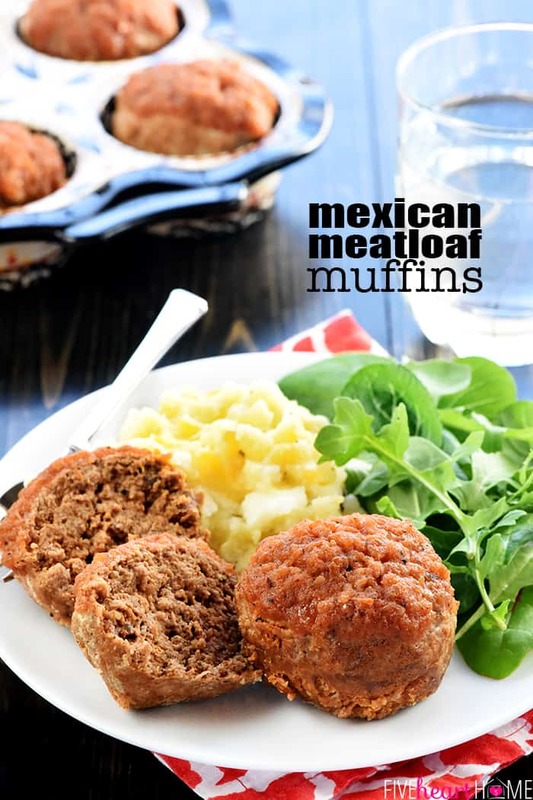 The resulting meatloaf muffins have all the flavor of a beef taco dinner in a cute little package! I prefer making meatloaf in muffin pans because it cooks so much faster. 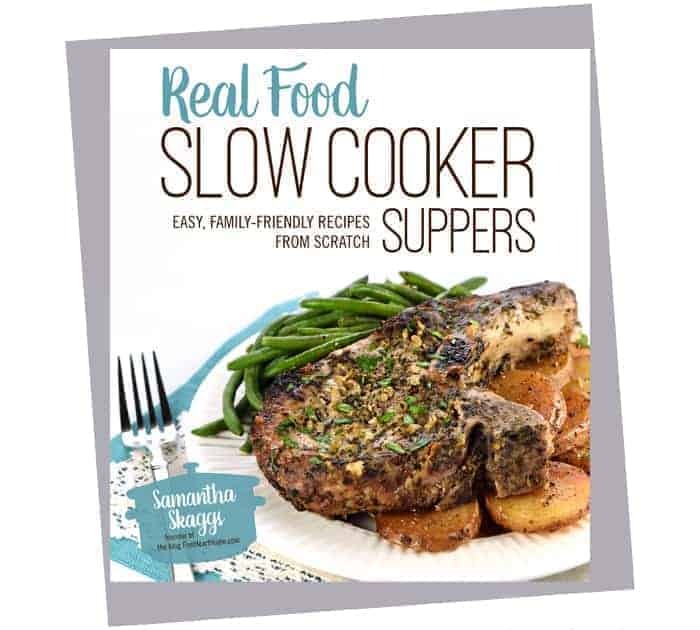 You have a hot meal on the table in 20 minutes, as opposed to 45 minutes to an hour for a full-sized meatloaf. Dinner-making procrastinators, unite! 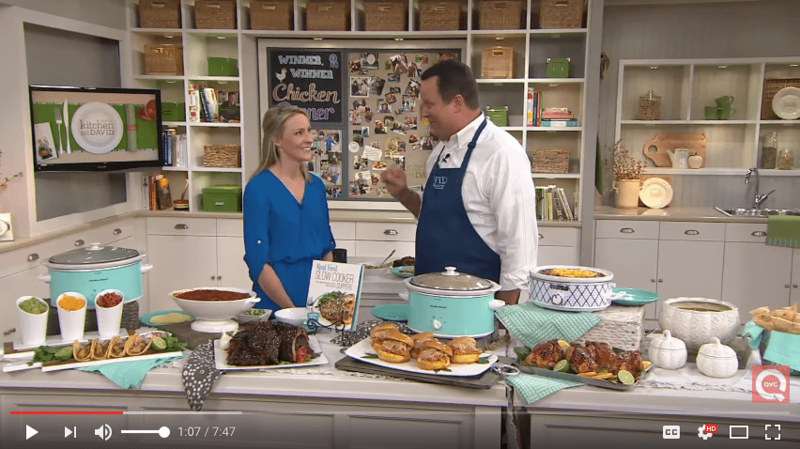 With meatloaf muffins, there’s also a higher ratio of glaze-to-beef…and in my book, that’s always a good thing. 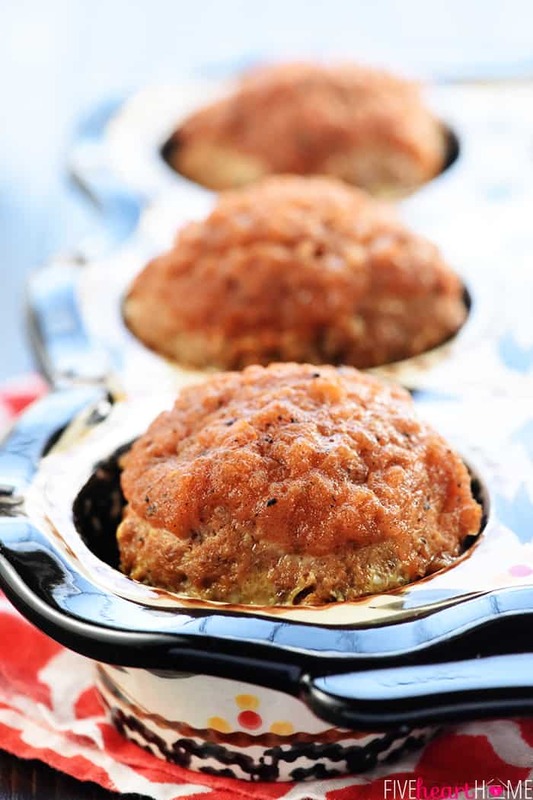 The glaze on these Mexican Meatloaf Muffins actually couldn’t be any simpler…it’s actually just salsa. You can use homemade salsa or use your favorite jar of store-bought stuff. 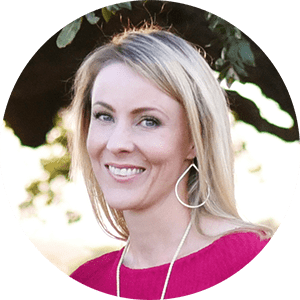 I used a mild salsa this time to make sure that the meatloaf wasn’t too spicy for my kiddos, but feel free to customize this recipe to your preferred heat level. Salsa goes into the meatloaf mix as well as serving as the glaze. 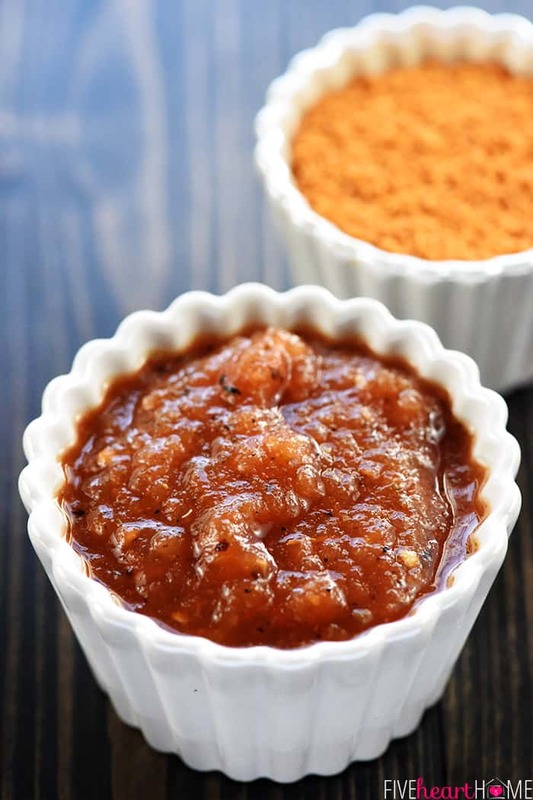 If you start with a chunky salsa, I recommend quickly pureeing it in the blender or food processor for smoother results, but again, it’s totally up to you. 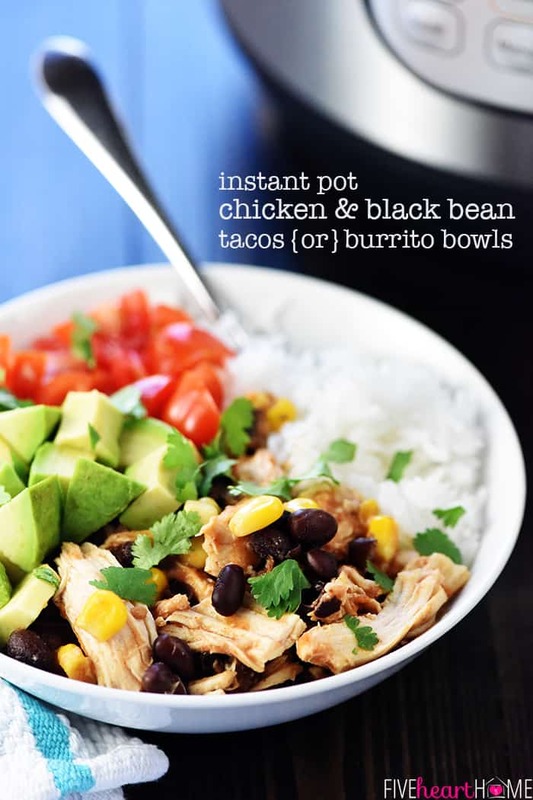 If you prefer the chunks, there’s no need to puree! Another thing I love about meatloaf muffins are the individual little servings. 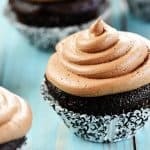 They’re fun to eat and easy to portion out, depending on if someone is hungry for one or two muffins. Or they’re easy to cut in half for smaller appetites. Whenever we have meatloaf, in any form, I feel that it is my duty and obligation to make mashed potatoes as an accompaniment. And since this meatloaf boasts a Tex-Mex twist, I decided that said mashed potatoes should do the same. I was going to make the green chile cheddar version from my Taco Shepherd’s Pie topping, but I didn’t really want to hear certain pepper-averse children whine about having to pick out the green chiles. 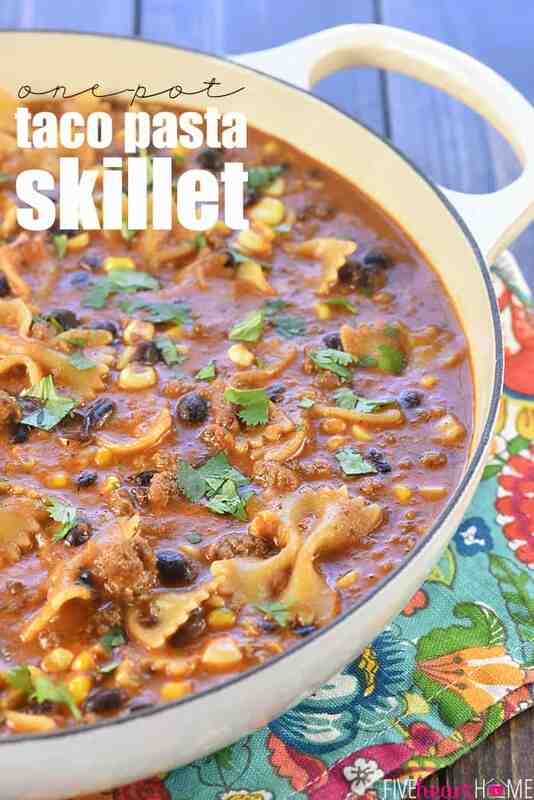 Is there a mash-up of main dish recipes that you or your family would particularly love? If so, leave a comment and I’ll see if I can make y’all’s dinnertime dreams come true. 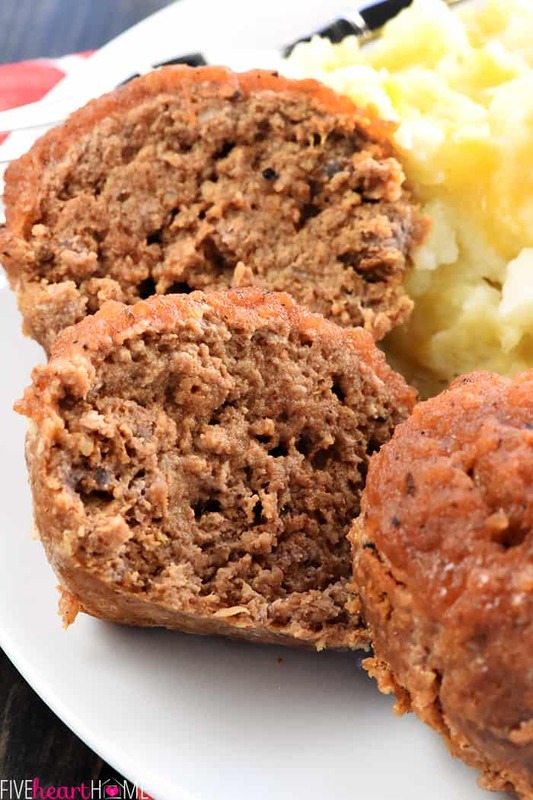 😉 Otherwise, I hope you’ll enjoy these Mexican Meatloaf Muffins! 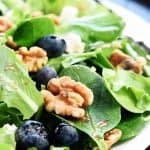 They’re fun, they’re yummy, and they’re easy to make…and isn’t that the trifecta of a family-friendly recipe? I generally make meatloaf muffins in my ceramic muffin pans, but a regular muffin tin will work just fine. Homemade Taco Seasoning is all-natural, easy to make, and great in any taco-flavored recipe. I turned a jar of store-bought chunky salsa into smooth restaurant-style salsa by pureeing it in my mini food processor. One pound of ground beef fills 6 muffin cups and makes 3 to 4 servings. Feel free to double the recipe. 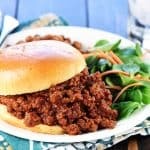 The fat from the ground beef will drain to the bottom of the muffin cups and creep up the sides (and, of course, leaner ground beef will mean less fat). I like to place my muffin pan on a baking sheet just in case there’s an overflow of fat. Then once the muffins come out of the oven, I use two forks (or spoons) to carefully remove each muffin to a paper towel-lined plate to finish draining, though most of the fat will remain behind at the bottom of the muffin cup. 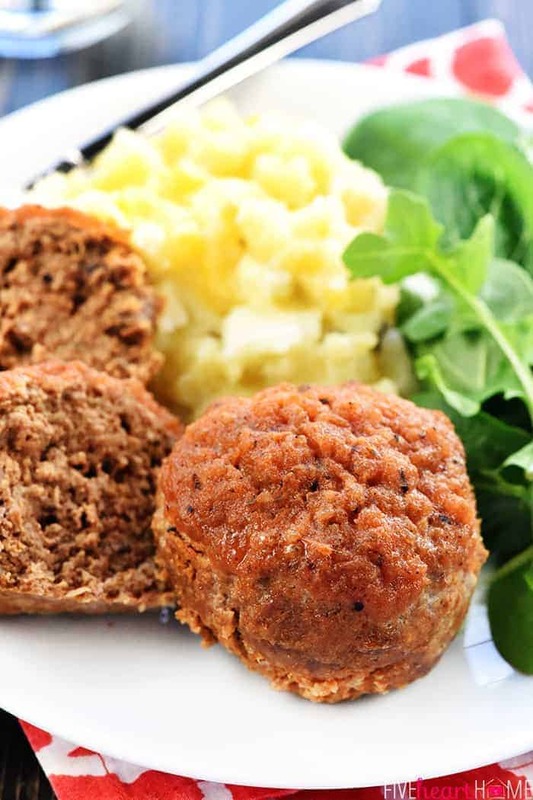 You may make these meatloaf muffins with ground turkey instead of beef, if you like. Just be sure they’re cooked through to an internal temperature of 165°F. 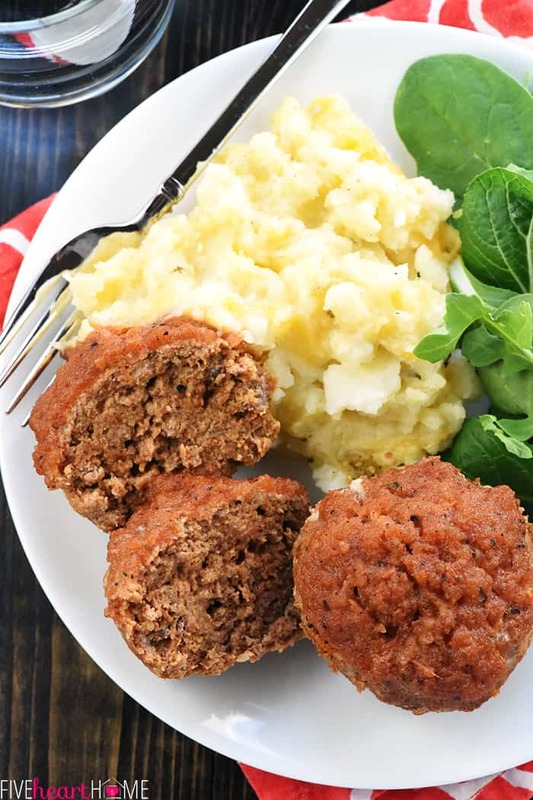 For another tasty variation of meatloaf muffins, these Italian Meatloaf Muffins are flavored with Italian herbs, glazed with marinara sauce, and “frosted” with Parmesan mashed potatoes. Preheat oven to 450°F. Spray a six-cup muffin tin with nonstick cooking spray. 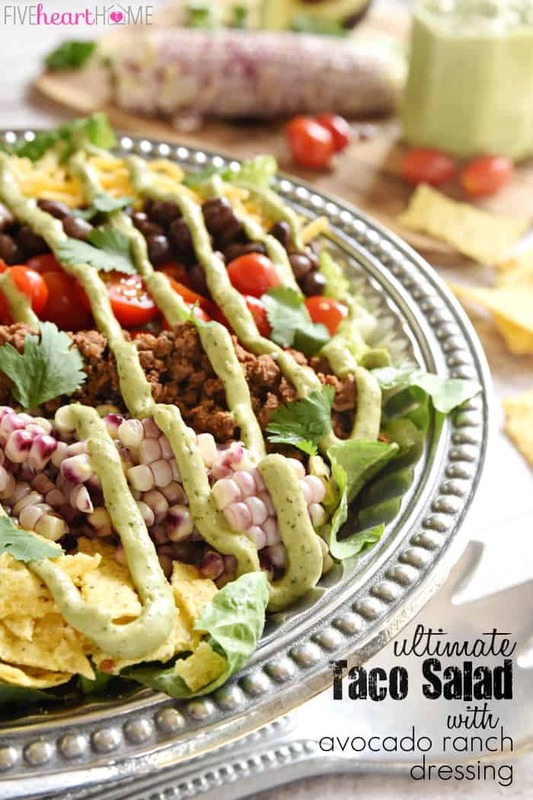 In a large bowl, mix the ground beef, egg, bread crumbs, taco seasoning, and 1/2 cup salsa until well-combined. 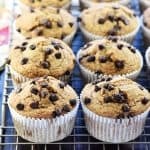 Using a spoon or large cookie scoop, evenly divide the meat mixture between the six muffin cups, smoothing the tops of the mounds. Spoon the remaining salsa over the meatloaf muffins as a glaze. Bake for 20 minutes or until the meatloaf is cooked through. 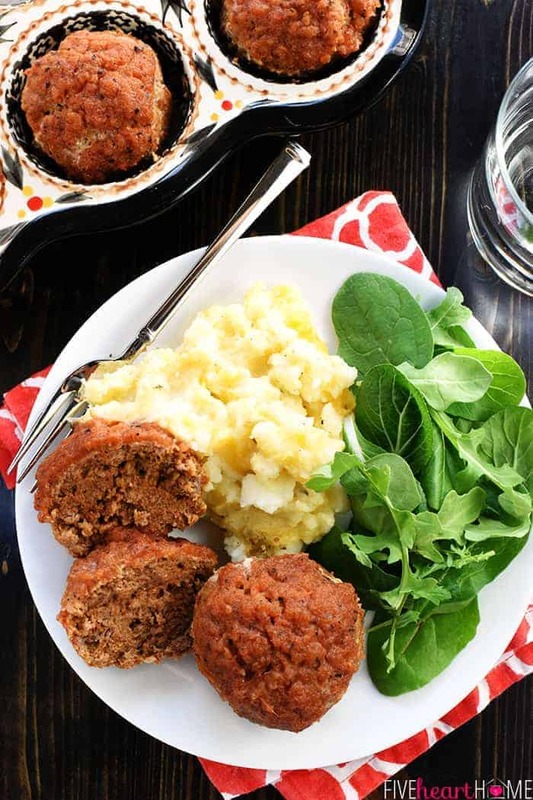 Carefully lift the meatloaf muffins out of the pan and drain on a paper towel-lined plate. My daughter definitely would love to have one. 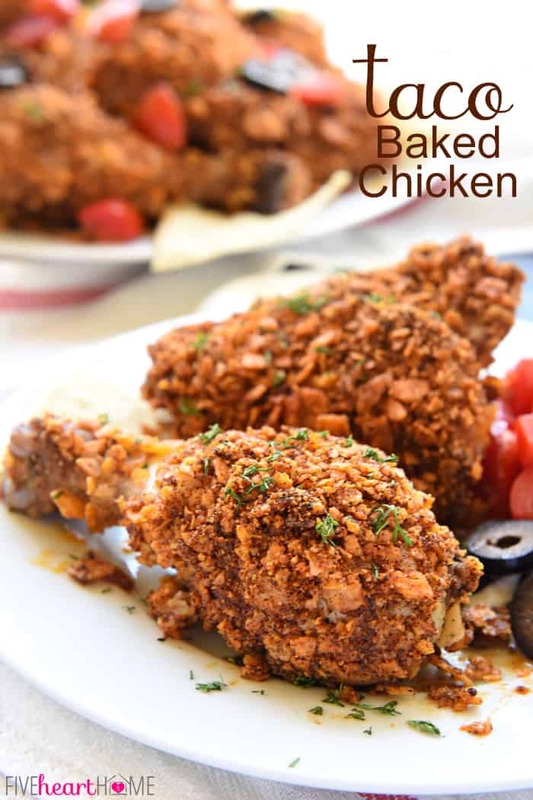 I will try this recipe soon. Thanks!